KS Energy Limited (“KS Energy”) is a leading one-stop energy services provider to the global oil and gas (”O&G”), marine and petrochemical industries. The shares of KS Energy are traded on the main board of the Singapore Exchange. The core activities of KS Energy are in distribution of parts components, capital equipment charter and provision of drilling and rig management services. Its distribution arm – KS Distribution represents more than 300 globally-accredited brands and distributes more than 60,000 line items. Through its subsidiary KS Drilling Pte Ltd, an internationally accredited drilling and rig management company, KS Energy is now a proven operator providing capital equipment, rig management and drilling services directly to major oil companies for their onshore and offshore production needs. Raymonds Supply Co., Ltd. was established in 1986 as an oil field supply company serving the oil companies operating at South China Sea. Over the past twenty years, the company has diversified into a solution provider for oil & gas, marine, petrochemical and utility plants in their procurement, warehousing, logistic and personnel needs. To better serve our customer, a transportation company, Sure Link to provide logistic service were established in 1990’s. Over the years, Raymonds Supply has gained its reputation as a reliable and responsive professional servicing company. In Raymonds Supply, customer satisfaction is always the number one priority consideration of our personnel. In 1993, Raymonds Supply Co. Ltd. became the first Asian supply company to be accredited with ISO9002 Quality Certificate from Det Norske Veritas. We adopt the ISO9001:2008 Quality management system. 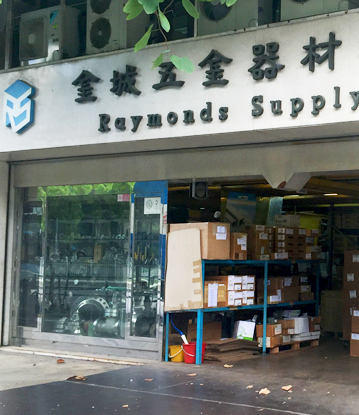 Raymonds Supply is wholly owned by KS Energy Group of Singapore.